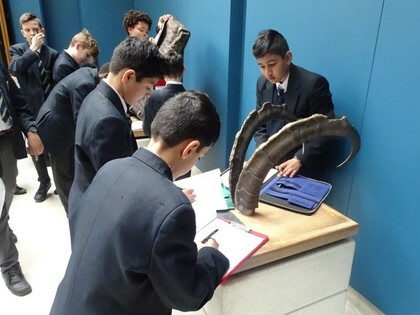 Year 7 Visits to the Natural History Museum! Why are similar flightless birds like the ostrich and rhea found on different continents? Why did mass extinctions happen? 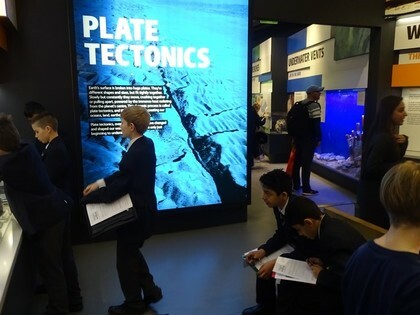 These and many other fascinating geological based questions are investigated by Year 7 on our annual trip to the Geology Galleries of the Natural History Museum – the Red Zone. 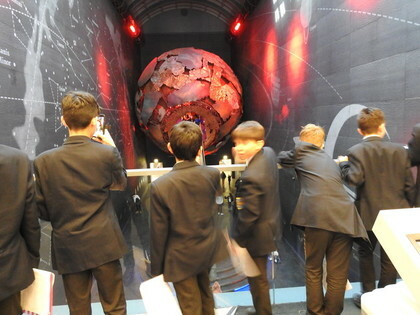 The highlight of the trip is the Volcanoes and Earthquake Galleries, a topic we have been studying recently in Geography - and the earthquake simulator always fascinates our boys. There is much more in the Red Zone though. 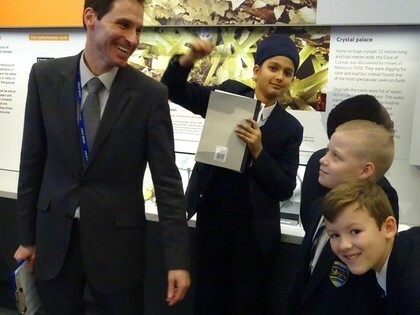 Some students were captivated by the Lasting Impressions Gallery where beautifully preserved fossils can be examined. This year a Museum volunteer explained to some students how two ancient sea creatures the Ammonite and the Nautilus differed. 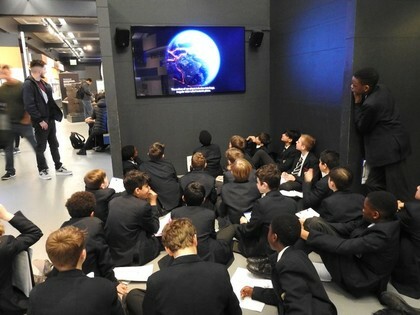 The Restless Surface gallery is dedicated to the topic of how the earth is worn away and the boys worked hard to find out which slopes are most stable and how rivers move sediment. 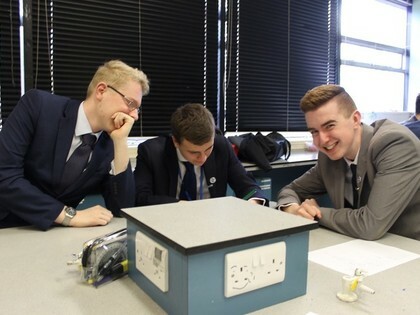 All great preparation for topics we will eventually cover at school. We also looked at From the Beginning where we examined how life on earth evolved through the different Geological time periods and how there were several mass extinctions along the way. Lunch is always a manic half hour slot in a packed basement area and a frenetic final visit to the shop enables souvenirs to be bought before setting off on the coach trip home. This year we had more parents than ever help us which ensured everything ran as smoothly as possible especially ensuring nobody got lost! We are so grateful for their help. I think they learned some Geology too! Congratulations to our Y11 football team who have progressed to the final of the Kent Cup. The final is to be played on March 29th at Bromley F.C, kick off is at 7:30pm. All are welcome to come along and cheer on the team - please do come and support them if you're able. Tickets are £6 for adults and £3 for children. If you do wish to buy tickets please ask your son to speak with Mr Sage or Mr Colledge or contact the PE department for more information. 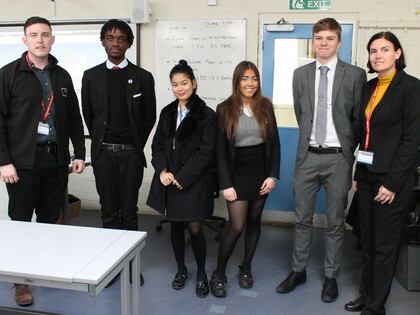 Representatives from Whitecode Design Associates and Laing O'Rourke came in to provide valuable presentation and interview practice for our Year 11 Designing for the Built Environment Students. 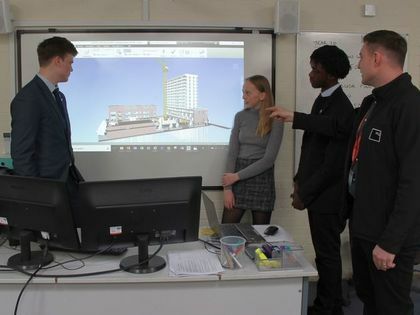 Each student was given the opportunity to present their design for the project they are working on to a panel, giving them valuable workplace scenario experience as well as receiving industry input on their designs. 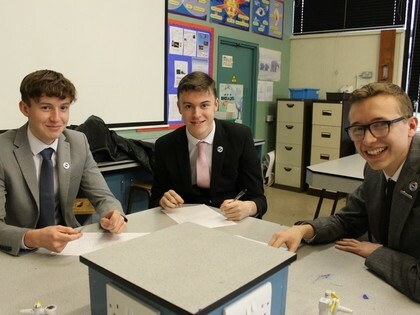 WG6 students took place in a British Science Week themed inter-house STEM quiz. 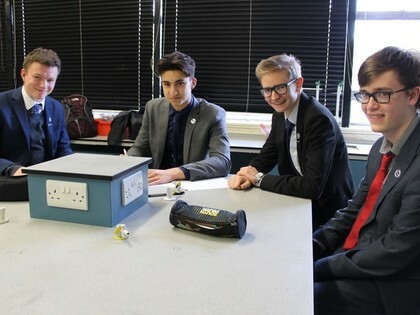 Well done to all who took part, answering a series of tough questions across the STEM subjects. Special congratulations to Demetrius, Jon B, Louie R and Josh R of Darwin who took 1st place. ISG provides construction solutions to some of the world's most successful and enduring businesses, cities and institutions. Karen Vigar and Stephen Beattie from ISG visited WGSB to offer insight and support to those students currently studying The Level 3 Diploma PCP course, this course together with their support gives our students the employment edge. That means work-ready students with the unique combination of high quality education and real world skills. The courses are developed hand in hand with local companies, giving our students the experience and work ethic to do their employer proud. The course is run alongside A Level provision and attracts 56 UCAS points into Higher Education or an opportunity to join as an Apprentice. 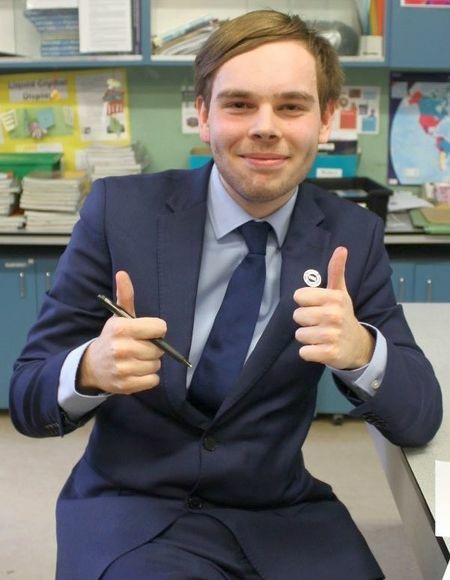 One of school alumni who took Art at WGSB now works at the prestigious Foster + Partners architects in London. 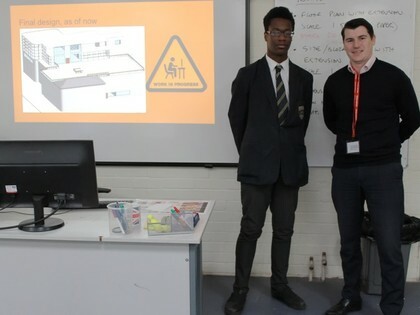 He came to visit the school last week and gave presentations to Y12 Professional Construction Practice, Y13 DEC students and Y10 Art students. It was interesting to hear all about his career progression and travels. 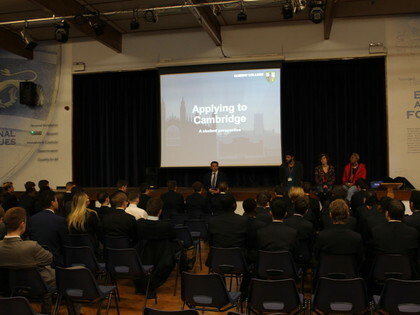 He was an inspirational example to our students and they were very lucky to have this opportunity. 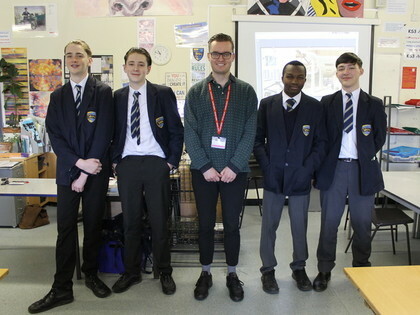 Here he is with some of our Year 10 Art students. 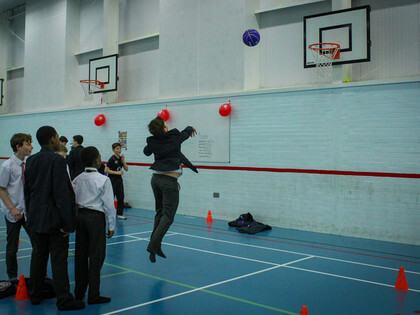 Red Nose Day lunchtime charity event. 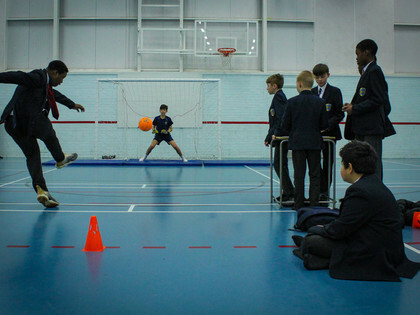 Our Student Council organised and ran a selection of games in aid of Comic Relief schemes. 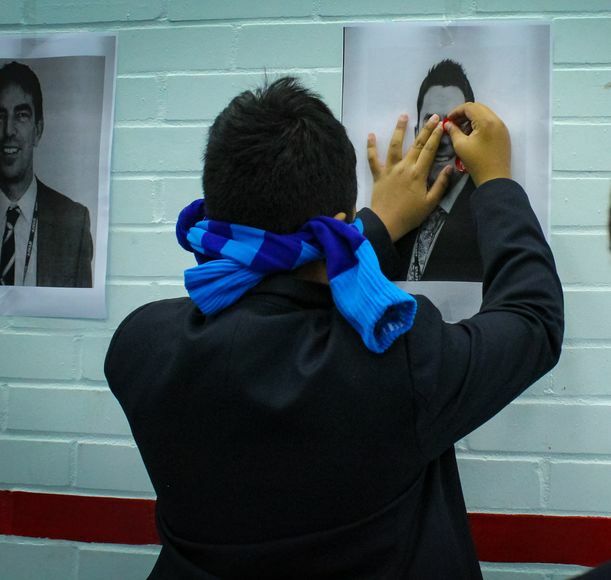 Students had a go at ‘pinning the red nose’ on photos of the senior leadership team as well as a basketball and football challenges. 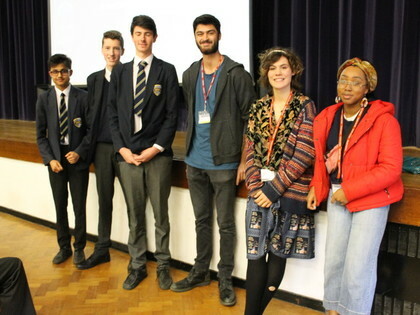 The School Council students did a brilliant job, and with the help of their colleague competitors raised £290.00 - Well done!